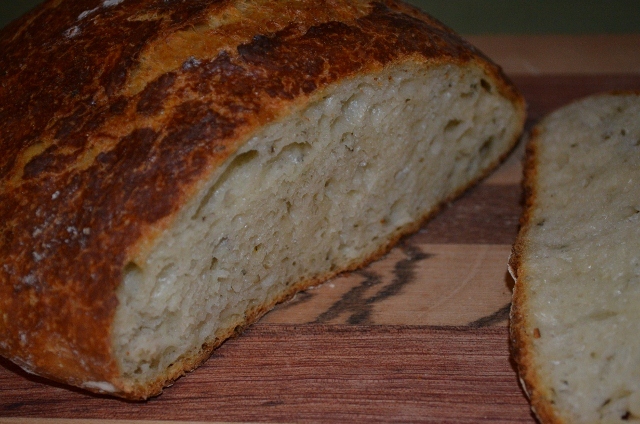 Here is yet another variation of the no-knead crusty break baked at high heat in cast iron. This is a good choice to go with any type of Italian food. 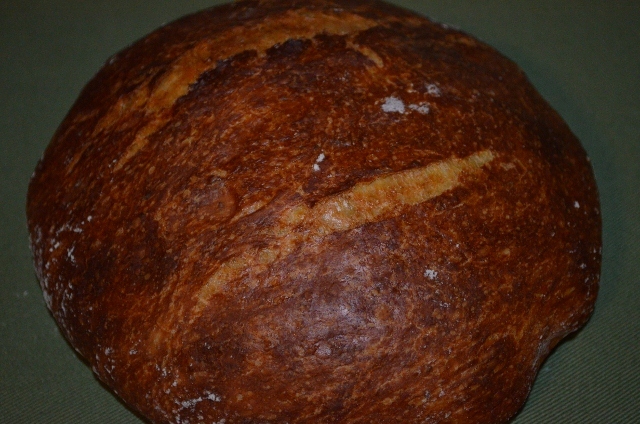 For more variations on no-knead bread, click here. Other no-knead recipes coming soon include chocolate cherry, cinnamon not and steel cut oats so make sure you check back. 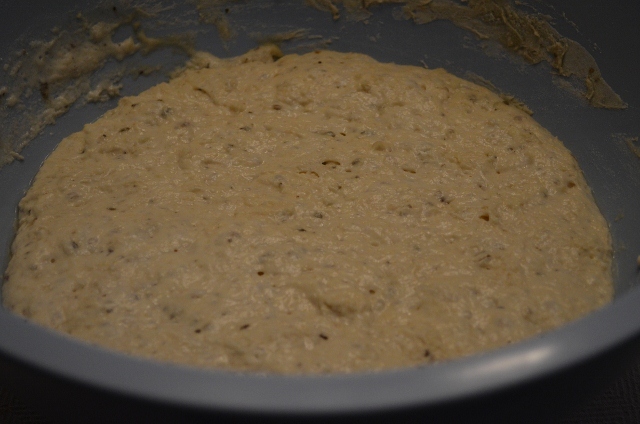 Whisk the flour, salt and yeast together. Add the Parmesan cheese, garlic, oregano and mix together. 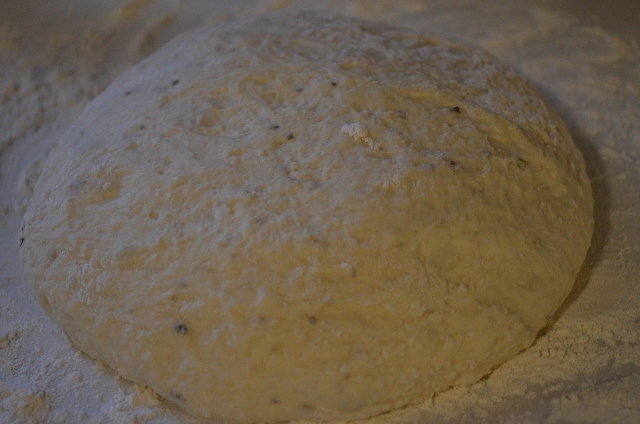 Add water and mix into a moist dough. Cover and place the pot in oven at 450 degrees. After baking for 30 minutes, remove the lid and bake an additional 15 minutes. Remove the pot from the oven. The bread should slip out of the pot and then cool on a rack. Do you have a cook book? I would love one! You are so kind! Thank you for the compliment. No book – just lots of recipes scattered here and there!